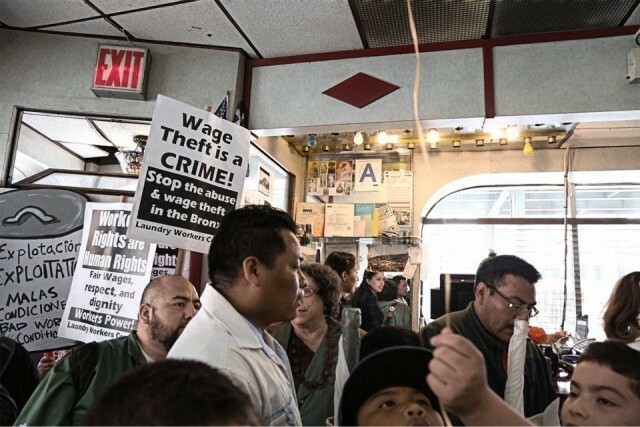 The Laundry Workers Center launched a new campaign, “Titlanice” or “We’re going to win,” to defend restaurant workers faced with wage theft and abusive working conditions. 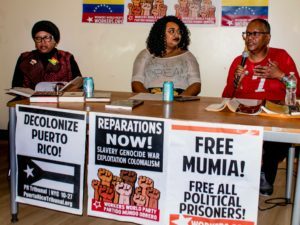 LWC activists and supporters gathered inside New Capital Restaurant on April 23 in the Bronx, N.Y., pretending to prepare for a birthday celebration. When a cake was presented, people started singing, accompanied by a guitar. Other protesters came inside the restaurant with signs, chanting against the treatment of workers. They marched through the restaurant and everyone then held a spirited rally outside, joined by the Rude Mechanical Orchestra. 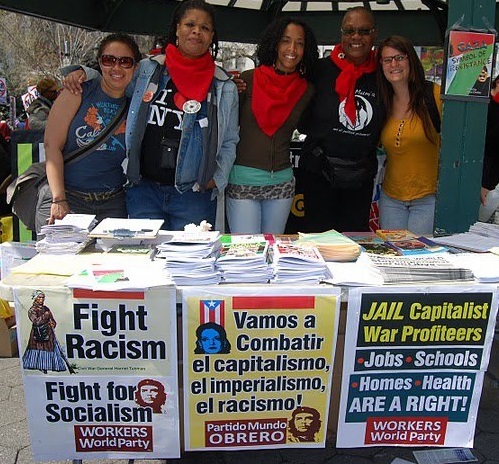 After training with the LWC’s Leadership Institute, the workers are fighting to break their chains of exploitation.